After passing the 12th exam many Pakistani students are interested to study abroad. This is a costly process and the families of students are not able to fulfill the expense to teach their children in international universities. To overcome this international university of other countries offers scholarships to help the students on need and merit based. These scholarships enable Pakistani students to study in international universities. China is among one of those counties who are offering scholarships to Pakistani students. Recently they offer scholarships for MBBS for the study year 2018-2019. Many medical universities in china offer scholarships to potential students who want to study MBBS from Chinese university. These universities used English as their medium of instruction. University will award the scholarships after each academic year. The compilation result of scholarships includes the weightage of student’s final exams, individual performance, and academic record during the year and participation in extracurricular activities. Applicant must be non citizen of China and physically good in health. For undergraduate, the applicant must possess HSSE certificate and age should be less than 25 years. Applicant must be a Pakistani or AJK national. Applicant who already taking any other financial aid are not able to get this scholarship. Applicant must obtained 50% marks in aptitude test. Tuition fee, laboratory experiment fee and basic learning material cost. In china local or provincial governments are also offering grants to international students to study any program including MBBS, Engineering and management. These also have some criteria to be fulfilled. Applications are submitted annually from January to April. These are offered by the following governments. The Chinese government offers many grants specific for nationals to study in top Chinese universities. These are offers annually. Form will be submitted in January to April every year. For getting these grants there is some eligibility criteria set by the university. Chinese federal and provincial governments are offering assistantship to international students and also Pakistani students to study in Chinese universities. These all are offered for many study disciplines including MBBS. Many universities in china are offered Nationals to study there. Assistantship are offered to cover tuition fee, living allowance and medical. I would like to know about the fee structure,facilities and university completely. i want to study in china for MBBS. plz told me about registration process and fee structue. I am citizen of Gilgit Baltistan Pakistan —- am I eligible for MBBS ? when and how to apply? ??? Hi my name is karishma. im medical student ,i complet 12th class .i want to doctor but i can’t ifford university fees ..so i need scholarship .&where can i apply for MBBS course..
can you please let me know what is the whole procedure to get this scholarship like from where we can get forms where we have to apply for it? i want to apply for this scholarship ,how would i apply? sir let me know how to study in china on scholarship ? what is the criteria to apply and other stuff … ? We have sent you a detail guide later. hi there, i’m Tanzeela from lahore pakistan, i have been stdying mbbs here but unfortunatly had to quit. Now i wanna start stdying medicine again in china. can u please tell me the procedure or the requirmnts to apply for mbbs in china? Is there any entry test as well???? besides does this degree has a value here in pakistan??? Yes, dear how can I help you? Yes, you apply for MBBS Admission in China Medical University. But university not offered scholarship for MBBS Program. Dear, we have updated you regarding fee structure shortly. Information regarding Scholarship should be updated on soon. i want to get admission in mbbs in chaina on scholorship…plz tell me the procedure…???????? Sir! I am student of fsc part 2 nd I have got 85% marks in fsc part1.Actually, I want full scholarship for mbbs in China, including house rent to tuition fee, for the year 2015 to ownwards .So please send me information all about that. Yes, you apply for MBBS in China. we have updated Tuition Fee and other expenses in post. For More Information contact to Berro International Consultant +923084293988. sir what is value of mbbs degree got by china. 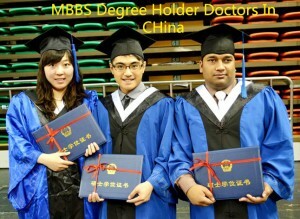 There is value of MBBS from China. Actually the degree of MBBS have value in world because your skills and abilities will give you a good job placement in future. Secondly, after MBBS if you go for specilization then this will be beneficial for you in Pakistan and Dubai the emerging state of World. So, Finally if you want to become of Doctor the go ahead for MBBS if not get admission in Pakistan Medical Colleges. I have already sent you a information. We have not concern with DPT. We have only provide information regarding MBBS. can u plz tell me the merit of mbbs in china and also its fee structure? There is no merit of MBBS in China if you have 60% marks in FSC then you apply for admissions. Secondly Tuition Fee is 4,50,000 first year and after this you need to pay 3 Lac per year. In 3 Lack which include Hostel Charges, Mess Charges and others. 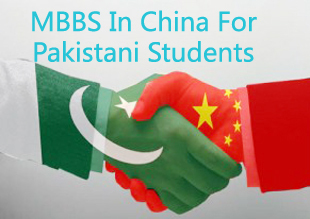 If you want to apply for MBBS in China then contact to Bero International Lahore +923084293988. Tuition Fee is Rs 4,50,000 and after that you will have to pay Rs 3 Lac per year including hostel charges. no scholarship for mbbs in china !!!! The Fee structure is mentioned is with scholarship. i want to do mechanical engineering from china … when the classes are going to start ? If you want to get admission in Mechanical Engineering then apply for admissions. Admission will be at the end of Nov.
how much marks obtained in 12th for mbbs study …? If you have 60% marks in FSC Pre-Medical then you will apply for admission. If you have 60% marks in FSC then you will apply for admission in China Medical University. 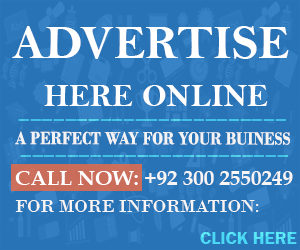 Tuition Fee Rs 3 Lac from 2nd year to 5 year including Hostel Charges. how can we apply for admission ???? can i get the procedure plzzzzz??? If you want to apply for admission then call me on the number given in the post then I will further guide in detail regarding this. hi I m a Pakistani student and I recently completed my masters degree in chemistry may I eligible for MBBS scholar ship if I m kindly let me know thank u. Yes, you will be eligible to apply for Scholarship. 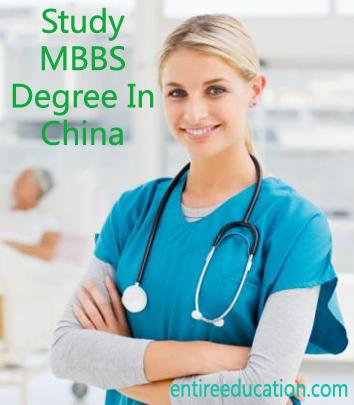 If you have 60% marks in FSC Pre-Medical then you will eligible to apply for MBBS in China. I want get admission in mbbs on full funded scholarship . plz tell me how can apply . Dear, we have not offered Fully Funded Scholarship for MBBS in China. The Fee Structure will I have mentioned in the recent comment is on scholarship. Plz review these comments and get the updated regarding fee structure. Yes, dear you get scholarship for 85% marks. You call on this number which is display in the Website top page for MBBS in China. I will furthur guide you regarding fee plan. Currently, you will apply for MBBS in China till end of Nov. Yes, you will eligible for scholarship in China. MBBS Fee Structure will be uploaded on the post. You will check from here. Yes, scholarship will be offered to the students. If you want to proceed your process of admission then contact on number which is display on the website. Fee Structure and list of universities will be mentioned in the post. You will review the details from the post and go for study in China. Fee Structure is same for all universities which are listed in the post. How he can qualify for the scholarship? You will apply for schoalrship. Fee will be mentioned in the post. This is scholarship fee that you have to pay for MBBS. This include the fee of Hostel Charges, Tuition Fee and Visa Process Fee. Fee Structure will be mentioned in the post. This fee is payable for MBBS with Scholarship. can i appyly now??? ?i mean are admissions still open there???? Yes, you will apply for MBBS Admissions. Admission will still open till 15 Dec. You can call on our office num which is display in post. Is these are details for scholarships? Please kindly email me more details and an email address to send my douments. Fee Structure on scholarship will be detail mentioned in the post. You will read from here. Secondly, you will sent your documents to entirewebs14@gmail.com to proceed your process for study. i want to get admission in MBBS on full funded scholarship. Plz tell me how can apply? Fully funded scholarship is not offered for MBBS Program. Yes, you will apply for admission in MBBS. Fee Package will be detailed mentioned in the post on scholarship base. I wanna scholarship for MBBS in china. Fee Structure on scholarship base will be mentioned in the post. sir main ny fsc main 70% marks lea hain kia main schoiarship k lea eligibal ho? Yes, you will eligible to apply on scholarship base. Fee Structure is mentioned in the post. i want to apply for academic year 2016 and for this mbbs scholarship is ielts or tofel test is necessary? Fee Structure is mentioned in the website. You will check from here. Currently new updated regarding MBBS in China will be updated soon. Sir can u plz tell me that there is admisn open in mbbs in good one chinese medical college ?? ?in jan.or feb? I have updated information soon. how can I apply for MBBS scholarship in China? Is there any fee structure after qualifying in scholarship? which is the best medical college in china to study and what is it’s fee ? What is the value of chinese mbbs?? Pmdc registered chinese university students will also give test after mbbs to pmdc?? Which chinese university is best. I want 2 get the admission in China medical university BT still I’m student of 2ndyear Sir can u tell me the procedure of this admission I’m intressted in it. Plsssssss it’s a humble request plss!! Yes Adeel this is true Pass PMDC Test to appear in hose job or for doctor work in Pakistan. hi thanks for reply please tell me can any chinese medical college give student loan for first year education at china medical college.please reply earlier.i can not afford this expensive study so what can i do? i can reply you soon…after complete search about your query. hi saad amir please help me and tell me about mbbs studies in china i can not afford expensive studies please tell me that can any china medical uni.give me loan?i”ll return back money after doing job in china.please reply me earlier i am so worried. I have marks less than 60% … Can I get admission in any medical college in china… Please tell me if i can. And if i can when i have to apply for this.